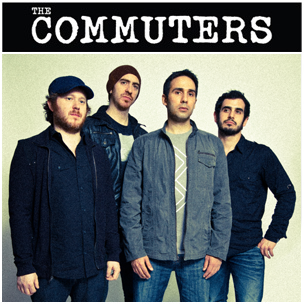 Last week The Commuters debuted at #2 at WMUR at Marquette University in Milwaukee, WI! Of all of the hundreds of songs they’re playing, including lots of major acts, we had the #2 spot on the station! Thanks so much to our friends at Marquette and WMUR for your support! This is in addition to the tremendous radio play The Commuters are getting at many major college and independent radio stations throughout the country. For more details on this and other publicity the Commuters are receiving, go to our publicity section.